It’s lucky that President Trump does not read movie subtitles or he’d be sure to boot up “What Will People Say” into his propaganda machine. With the backing of our reactionary Supreme Court, or at least 0.56% of it, he has succeeded in justifying his travel ban on Muslims in several countries. So what would be better than to show what it’s like to try to assimilate people of a different culture from our mainstream? Not too promising according to writer-director Iram Haq, a woman who is in her métier, having previously made the film “I Am Yours,” about a Norwegian Pakistani woman looking for love in the wrong places. 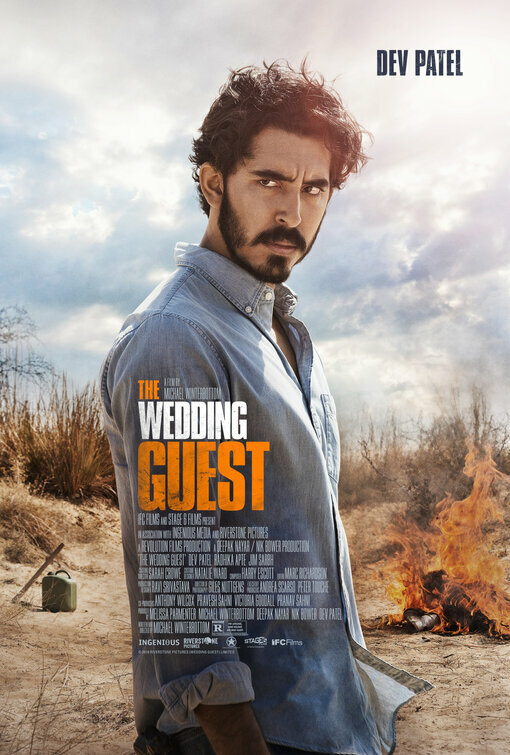 Nisha pushes the conflict up a notch by signing into a safe house, courtesy of a friendly social worker, but then misses her family, goes back to them, only to be kidnapped by Mirza forcing her to return to Pakistan with him and to put her up with his extended family there. She is treated poorly by her aunt (Sheeba Chaddha) and uncle (Lalit Parimoo), is later picked up by her father whose plans for her are not paternal especially when hearing that she was caught kissing her cousin Amir (Rohit Saraf) and humiliated by three rogue cops who make her strip and threaten to put her photo on the ‘net. Yes, President Trump, there is a wide gulf between the culture of a place like Norway (Trump likes!) and Pakistan. And our President can point out that Muslims might put a great burden on social workers and teachers in the U.S. when cultural gaps turn bloody. Still, Nisha dad is not an altogether bad guy, but his fear of neighbors’ talking turns him into a tyrant—though one wonders why the fight with his daughter need be made public, specifically his catching Nisha with a guy in her room. Terry: “I’ve always wanted to discuss 9/11 with a Muslim. This is just a single gem among the zippy one-liners that appear in “The Big Sick,” a gag that Terry for a moment thinks is the Pakistani-American’s true feeling. Kumail quickly notes that he’s only joking. 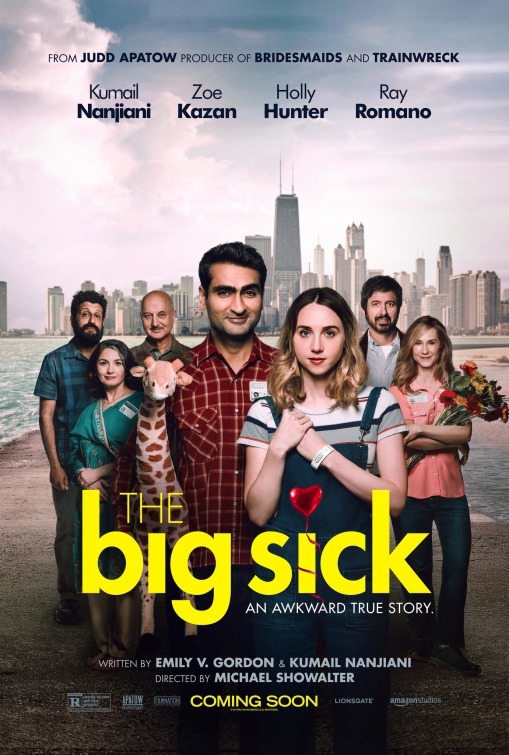 Though not very often, in fact only once, the Kumail is heckled at a comedy club for his ethnicity when he is advised “Go back to ISIS.” That Kumail, who is assimilated has eyes for a marriage-age woman who is white and non-Muslim threatens to turn “The Big Sick” into one of the many comedies about cultural distances; the older generation insisting that their son Kumail marry a Muslim woman just as his brother did. But “The Big Stick” is not one of those semi-awful, schematically spelled out conflicts such as the unfunny “My Big Fat Greek Wedding, but rather features a crackerjack script graced with a marvelous ensemble that mixes melodrama and broad comedy, and comes across like a hilarious memoir based on Kumail’s actual marriage to Emily in one of the most beautiful stories of love and its conflicts you may run across in the theaters this year. It’s no surprise that the movie, featured at the Sundance Festival this year, was sold for a hefty twelve million dollars. Presumably some Pakistani-American parents still believe not only that their sons must marry Muslim women. That idea is taken to an extreme when Sharmeen (Zenobia Sfirof), who is Kumail’s culture-bound mother, and Azmat (Anupam Kher) who is his less rigid father, arrange a veritable parade of Pakistani-American single women to enter their Chicago home as if they were “just dropping in.” For his part Kumail, who might otherwise choose well among all these beauties, refuses all simply because he does not believe in arranged marriage. And oh, also he’s in love with Emily Gordon (Zoe Kazan) whom he met while doing stand-up shtick in a Windy City’s comedy venue. She heckles him with a big whoop; he goes off script to chastise her even though the “whoop” is a positive audience reaction because, he says, that’s still heckling and that could throw off his act. The initial segment of the film is a comic gem, as Emily and Kumail play the courtship game, Emily often looking for a way out, judging at least by her playful hard-to-get advisories. When Emily gets sick, coming down with a rare infection caused by her body’s immune system’s mistaking attacking her by mistake, she is put into an induced coma with a respirator. When her North Carolina-based parents Beth (Holly Hunter) and Terry (Ray Romano) arrive at the hospital, Beth is at first wary of her daughter’s boyfriend but soon becomes attached to him, particularly since he has been patiently waiting patiently for her in the hospital. Director Michael Showalter, best known for TV acting in the likes of “The Wet Hot American Summer,” has a remarkable sense of comic timing, and gets such outstanding work from his cast that one can see this film already being considered for year-end awards for Ensemble Performances. By “ensemble” is meant that each actor is given sufficient time to strut his or her stuff, and Holly Hunter as Beth, with at least two other films to her credit this year, displays her charming, Georgia-born southern accent, often driving her husband crazy. If you did not have the good fortune to see this remarkable comedy at Sundance, you have another chance, lucky you, to catch the pic when it opens June 23.